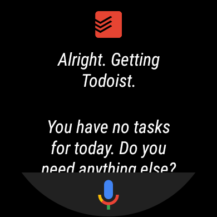 A few days ago, Google announced new features coming to Assistant on Wear OS and now they've started to roll out. We're not sure if this is a server-side update or if it's related to a Google app update on your watch. 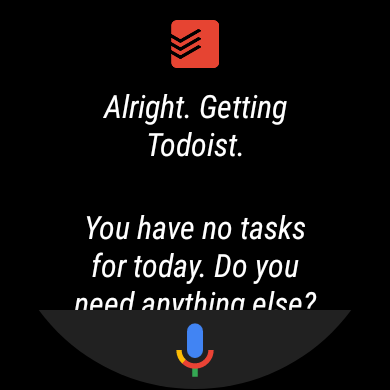 When I tried Assistant this morning, I saw the old interface, then the Google app on my watch updated to version 8.2.8.25. 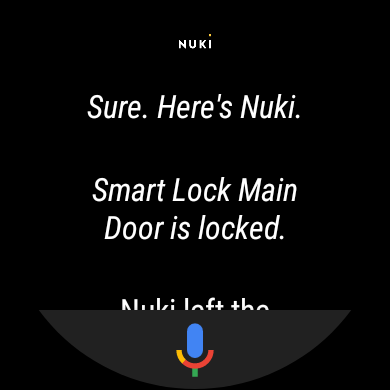 I tested Assistant immediately after and it was still the same, but one minute later, I had the new interface. The updates to Assistant bring three new features: suggestions and follow-up queries, Actions on Google (Assistant apps) support, and speaking the answers out loud. The first one is visible in the screenshots at the top of the post. You will start seeing suggestion chips after a query, similar to the ones that display on your phone or in Allo. The second one is the long-awaited addition of support for Assistant apps or Actions on Google. (You can read all about them in our Google Home guide.) This means that you can finally issue commands to the services that you usually use "talk to..." or "tell..." or "ask..." with. 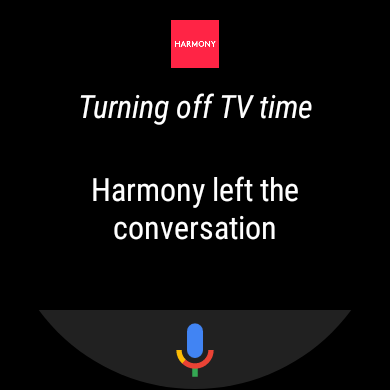 Examples include Logitech Harmony (though it's moving into direct Assistant integration soon), Todoist, Nuki, and plenty of other smart home products and other services. These are also working now on my watch. 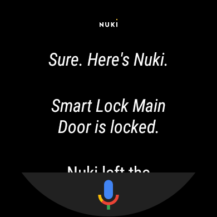 And last but not least, you should be able to hear answers from Assistant aloud on your watch's speaker if it has one or through Bluetooth headsets connected to it. I haven't been able to get this to work yet, but based on the original announcement, we were already skeptical that this would be limited to certain commands, possibly. If you have a Wear OS watch, check to see if you find these changes live for you and, if not, make sure the latest Google app version is installed. From my tests, this update seems to slow down Assistant a bit; my Skagen Falster hasn't had any issues with it before. I can only imagine what the lag would be on older watches. 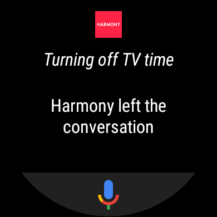 Maybe it needs a bit of time to acclimate itself with the change, maybe the new features are still rough around the edges, or maybe Assistant is so bloated that there's no way to make it snappy on watches.